A custom made wine storage feature, panoramic views, and hidden storage areas combine in this contemporary and immaculate Seattle kitchen. This kitchen was built in a brand new addition to an present house on the west slope of Queen Anne Hill. A neighboring house obstructed the potential perspective of this first home, so Allan Farkas of Eggleston Farkas Architects designed a new structure on a upper level. This spacious loft area includes the kitchen, dining area, and living area. Although you would not expect it in the sleek modern lines in these photos, the first home was built in the 1940s, and had been in pretty bad shape. “Believe it or not, there is an old home in there,” says Farkas. Because the homeowners were on a tight budget, they did a great deal of the work , and recruited family and friends to help. Wine is a big portion of the clients’ lifestyle, so Farkas designed a perfectly sized nook for a row of wine bottles. The recess was created so the back pair of cabinetry could be placed into the recess, leaving a nook at just the right size for a standard bottle of wine. One of those homeowners created the abstract artwork in the exact same rich colors as a bottle of wine. Absolute Black granite countertops comparison beautifully with the smooth maple cabinetry. A flat electronic stovetop lends to the kitchen’s seamless design. Eco-friendly bamboo floor, which combines perfectly with the light walnut cabinetry, was set up throughout the area. While at first glance, it appears like this kitchen is severely lacking in storage, Farkas was careful to make enough space for the clients to store their possessions without taking away from the easy and streamlined design. The barn door just beyond the kitchen is a full pantry, and the fridge can be found around the corner. 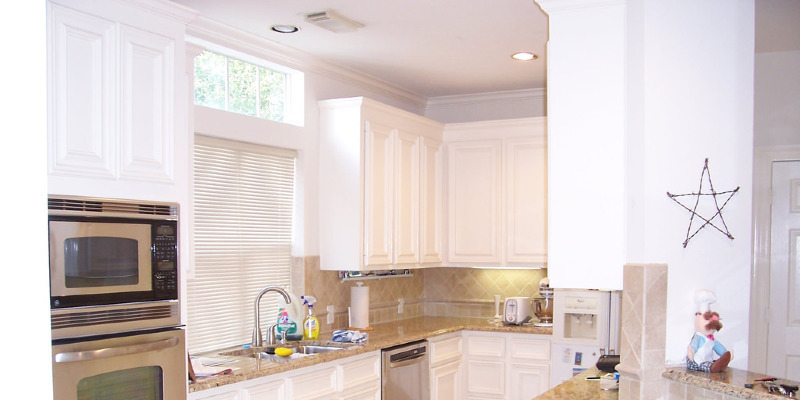 In this manner, Farkas managed to prevent restricting upper chimney, and the clients were able to avoid buying a new refrigerator beautiful enough to have on display. This spacious living space is relatively small, but the owners did not ask for a great deal of space. Both owners are out of Northern Ireland, and lived in small houses with their big families most of their lives. The great area takes full advantage of the extraordinary views of the Puget Sound and the distant Olympic Mountains. The bottom of the walnut island is visible from the ceiling in the home’s entryway. A simple blackened steel staircase with timber treads takes visitors from the personal floor floor to the common area on the upper loft.